How to face loss, I do not know. How to remember, I hope to know one day, or at least to better understand with each day passing. My beloved mother, Gabriela Weiss, quietly passed away on April 12, 2017, in Warsaw, Poland.She had been bound to bed, unable to walk and gradually losing her sight, since last December, after a serious fall. Doctors were not hopeful during that period, and her spirit, had never returned since my father’s passing that summer. My mother was a pianist and a piano teacher, and she revealed music to me as the first and most important language through which I try to understand the world. 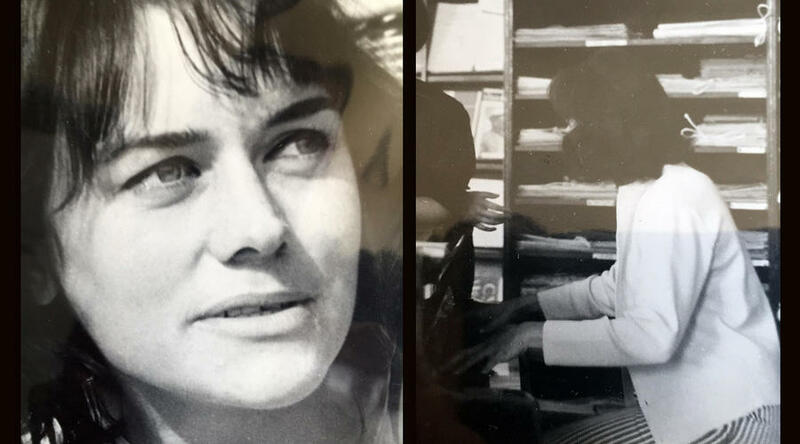 Many, including her former piano students, remember her as someone who changed their lives. I am no exception, as her daughter, as a human being and as an artist. She was forever scarred by war. As a little child, in her mother’s arms, she barely escaped a hunt that both Soviet and German occupants systematically exercised in Europe. Her father’s name, Leon Knopik, was on both Stalin’s and Hitler’s lists of priority individuals to be found, arrested and killed. His name was alongside Polish patriots, intelligentsia, artists, clergy, activists, officers and university professors. My mother never met her father. He was taken during the famous defense of the Polish post office in Gdansk on the first day of World War II, held in a sequence of concentration camps, and eventually was killed in the Sachsenhausen-Oranienburg, a concentration camp near Berlin opened in 1936 for the detaining of political prisoners. By 1939, Nazi officers were committing mass killings, doing medical experiments and starving prisoners at the camp practices which would soon be implemented in death camps. My grandmother, with my mother in her arms, was on the run throughout occupied Poland, hiding in various basements, through the five years of the war. After the war she quickly remarried in order to change her name and avoid Soviet persecution. My mother remained forever fearful of airplane sounds, as if every one of them was carrying a bomb. She never flew once boarded one. She could not stay even for a minute in a confined space, such as an elevator. Yet at the same time, she was the most courageous and determined person I have ever known. She stood by her ethics, even as a little girl who had to wear a red tie to school in Stalin-governed 1950s Poland. She furiously defended all whom she loved. All who loved her experienced similar intensity of feeling. She is mourned by myself and her brother, Andrzej Pionk, andalso by those outside of the family whose lives she touched so powerfully. 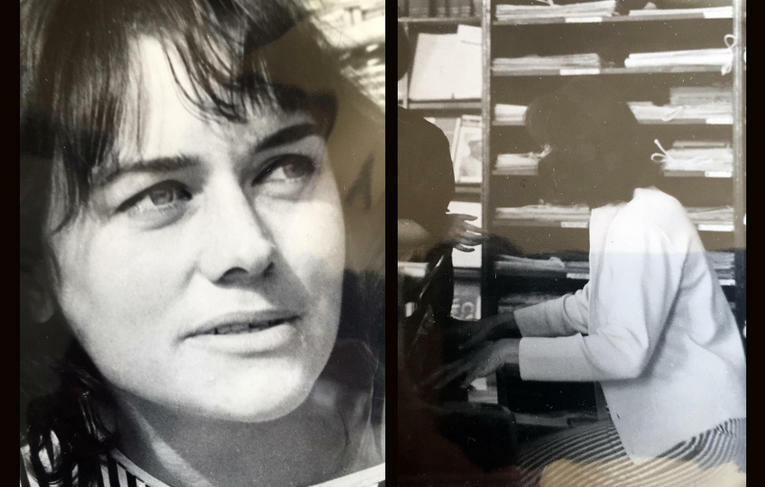 Among them especially are her former piano students who became her close friends and supporters over the years. Her family lost everything during the war. I recall standing as a 5 year old on the empty square in Gdansk where the building that had belonged to her family stood until 1939. She survived communism, socialism and then raw version of capitalism in her older age. As is the case with most of the intelligentsia in former Eastern Europe, she lived a modest life and experienced ongoing poverty. I recall from childhood hearing her rehearsals, as I was spending time under the big piano, listening from below. I recall always having many books to read but not always a dinner. Her nationally recognized name as a piano professor would not provide her with any financial gain. The intensity of her approach to life, was deeply present in her understanding of music and creativity. She could not have cared less about the idea of a concept in art, unless the work carried a powerful emotional and lyrical charge, beyond words and outside of systems. Her distrust of systems went further then music and art and deeply influenced her attitude towards institutions, such as governments and religious organizations. Any authority was met with her suspicion and critique. Her instinctive approach towards music allowed her to get, very quickly, the ways in which I use lament in my work. I see lamentation as an expression that goes beyond and exists after language. It is a non-language, replacing our ability to speak in the face of a loss that is impossible to express. When you can’t use words anymore, music happens. My mother was unable to experience my mature work in person until it was presented in a three-month solo exhibition at the Center for Contemporary Art Ujazdowski Castle in Warsaw in 2010, the first time my work had been shown in Poland since I left my old country. After hearing the music I composed as part of the Sustenazo exhibition, she would visit the museum every week and scold the guards when the sound was not loud enough, reminding them that she was “the artist’s mother.” I am forever grateful that she was able to experience my work as if in the audience at a concert and actually hear it and connect with it. She also listened to my most recent work, Canto 9, while her fragile body was already bound to a hospital bed. She said she fest as if she were hearing “the entire world lamenting.” Her ultimate approval as a musician meant everything to me. When I was about five, my mother began to teach me piano, before I entered the school of music at the age of 7. I recall her seated on a chair beside me, away from the piano, pressing her fingers into my arm with great heaviness, as if her entire body were resting on each finger, as if my skin were her keyboard. I can still picture the purple marks left on my skin, each tone temporarily engraved on my body. She said we couldn’t make a relevant sound, sound that reaches hearts, if we don’t use the entire body. And not just the body; the entire soul, she told me, must inhabit every pressed key. Today I believe she wanted me to feel how each sound is born and must contain the entire universe. It has to be all, or music has nothing to offer. This notion inspires me still today. Mama, I hope you can listen to your favorite Bach, Beethoven and Schubert now without the pain of the body which failed you. You never believed in the body anyway. You always thought the spirit is the only thing we have. I hope you see us and feel our love from here, up there, in the blue skies. I hope you are no longer afraid of flying. I hope you can read music now, again, and press your long fingers upon the non-material membrane that divides this and the other world. There are no words to express how I miss you.